Reading, reviewing and thought spewing. This jacketed picture book pairs Newbery Winner Matt de la Pe a and Pixar artist Ana Ram rez with the highly anticipated Pixar Studios film, Coco. Featuring a beautiful original story based on the characters of the film, as well as vibrant stylized artwork, this title is sure to appeal to readers of all ages. Disney*Pixar’s Coco is the celebration of a lifetime, where the discovery of a generations-old mystery leads to a most extraordinary and surprising family reunion. Directed by Lee Unkrich (Toy Story 3) and produced by Darla K. Anderson (Toy Story 3), Disney*Pixar’s Coco opens in U.S. theaters November 22, 2017. Matt de la Peña is the New York Times Bestselling, Newbery Medal-winning author of six young adult novels: Ball Don’t Lie, Mexican WhiteBoy, We Were Here, I Will Save You, The Living and The Hunted. He’s also the author of the critically-acclaimed picture books A Nation’s Hope: The Story of Boxing Legend Joe Louis (illustrated by Kadir Nelson) and Last Stop on Market Street (illustrated by Christian Robinson). Matt received his MFA in creative writing from San Diego State University and his BA from the University of the Pacific where he attended school on a full basketball scholarship. de la Peña currently lives in Brooklyn NY. He teaches creative writing and visits high schools and colleges throughout the country. 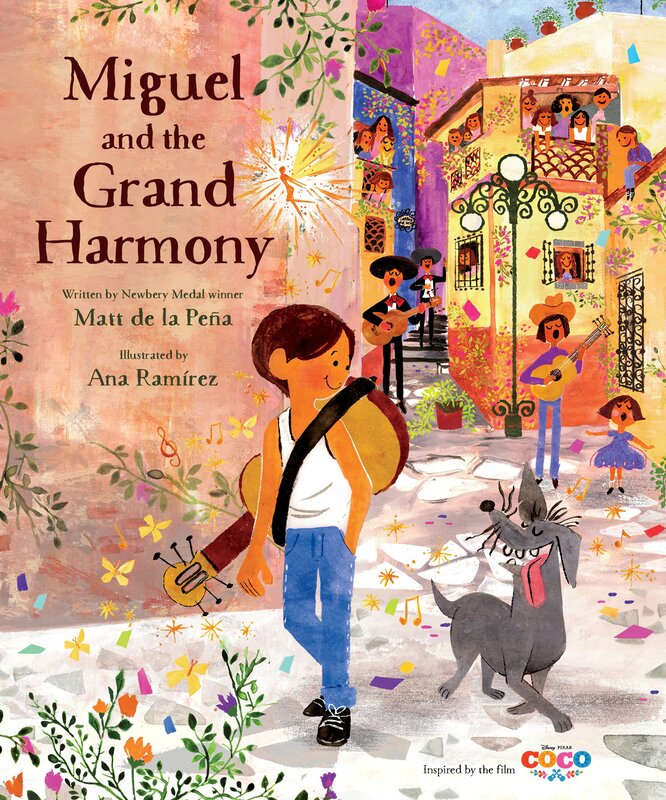 3 winners will receive a finished copy of COCO: MIGUEL AND THE GRAND HARMONY, US Only. SHIVA by @simonsloane spotlight and excerpt on tour!